Chocolate crackles are world famous in Australia and New Zealand – they take me right back to school birthday parties. 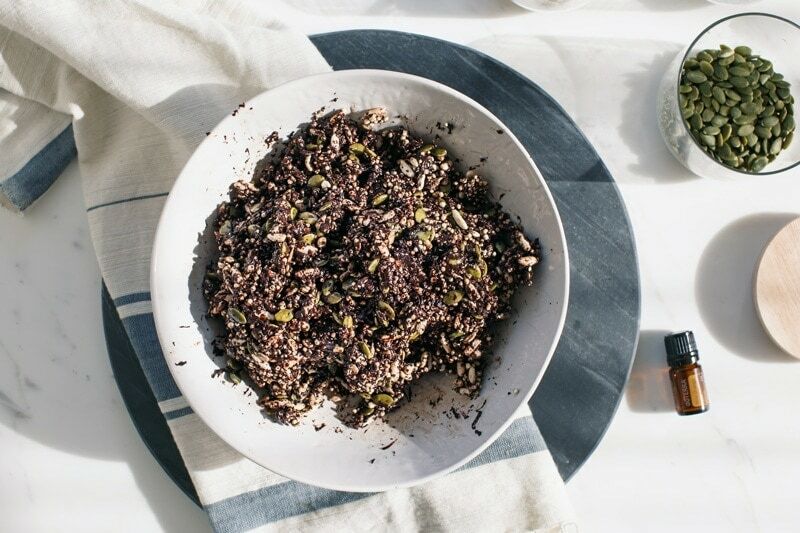 This grown-up version is made without the vegetable shortening or icing sugar, has a nice mix of puffed rice and quinoa, with added pumpkin, chia and sunflower seeds. Finally, it is infused with the ‘Oil of Abundance’ itself: wild orange. Who remembers chocolate crackle from your childhood? 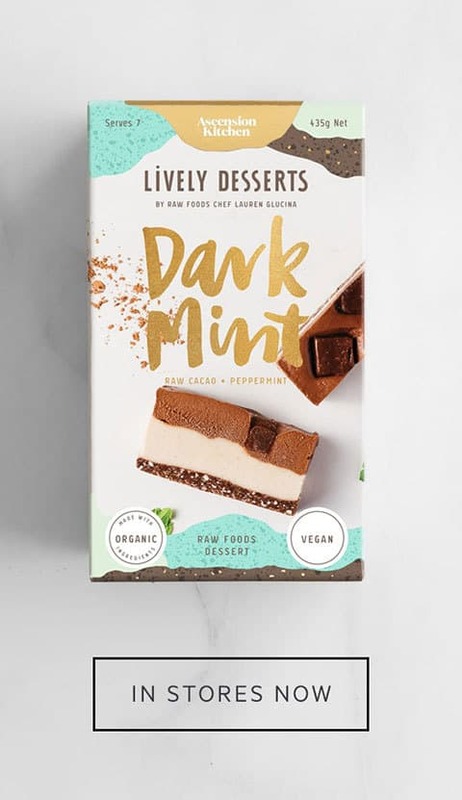 They’re up there with fairy bread and ice cream sandwiches. 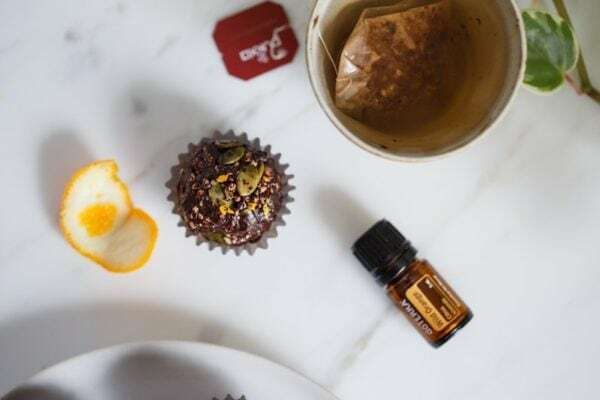 Today they’re getting a makeover you’re going to love: a rich and fudgey chocolate batter (raw cacao powder, raw cacao butter, coconut oil, brown rice syrup and sea salt) with puffed rice and quinoa, pumpkin, chia and sunflower seeds. The secret ingredient though is the ‘Oil of Abundance’ itself: wild orange. doTERRA’s wild orange oil (Citrus sinensis) is extracted via expression from the fruit peel. It is incredibly uplifting, yet has a calming effect on the nervous system, particularly helpful for an over-active and worrisome mind. The main constituent in wild orange is limonene, well studied for its purifying qualities and positive effects on the immune system. It is one of the most versatile and most budget friendly essential oils you can purchase. I carry a bottle in my handbag with me for when I’m feeling a bit on edge, adding a drop to the palm of my hands, rubbing vigorously and inhaling. Instant bliss! 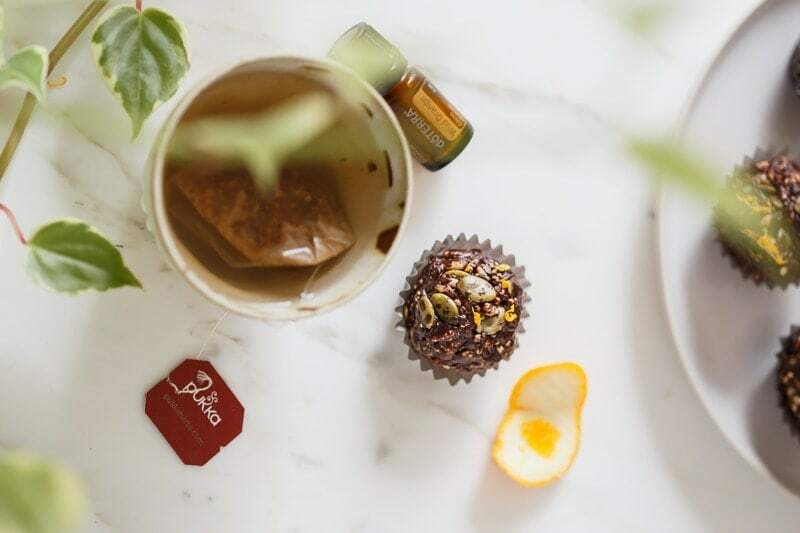 It’s a regular in my wind-down diffuser blends (paradoxically – energising yet not stimulating before bed! ), and features in doTERRA’s highly regarded protective blend – OnGuard – to support your immune system and keep pathogens at bay. And of course – wild orange essential oil is a beautiful addition to your cooking! These are literally the easiest things to make – but they still deserve a step-by-step – as I’ve found the order in which you add the ingredients makes a difference! 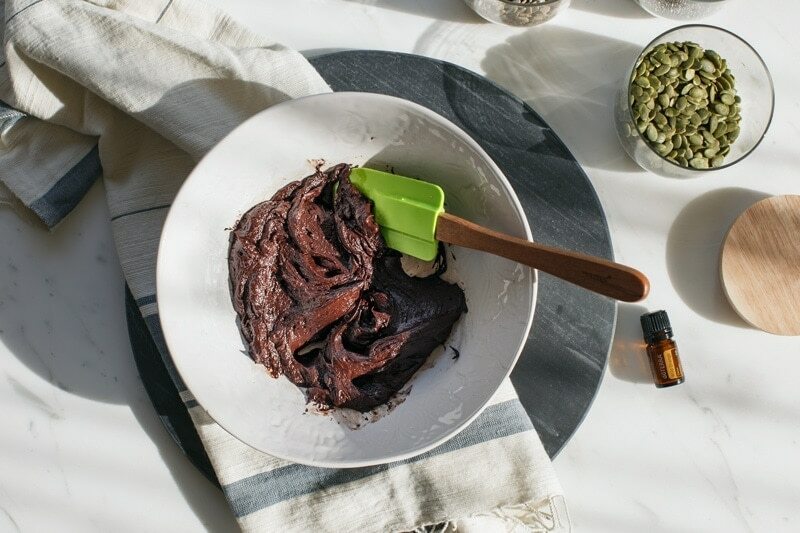 First, combine your melted coconut oil, cacao butter, raw cacao powder, and sea salt to a large mixing bowl and mix well to combine. If the coconut oil and cacao butter is hot – then add the essential oil last so it doesn’t evaporate off. You want a thick-ish consistency – a bit fudgy. Don’t try and scrimp on the amount of brown rice syrup – you need the sticky factor to bind all the ingredients. Now you add your mixture of seeds and fold them through with a spatula. Finally add the puffed rice and quinoa. You’ll need to ditch the spatula at this point and use your hands to work it all together. 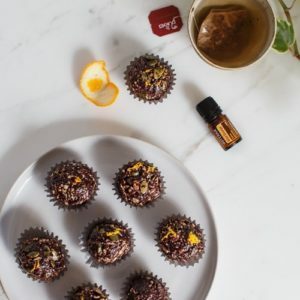 To finish – roll into balls, about a tablespoon per, and place into small paper baking cups. A little orange zest over the top makes them look pretty. Yes these are a treat, but they at least have some benefits. Fibre: 3.7g fibre per crackle – not bad! 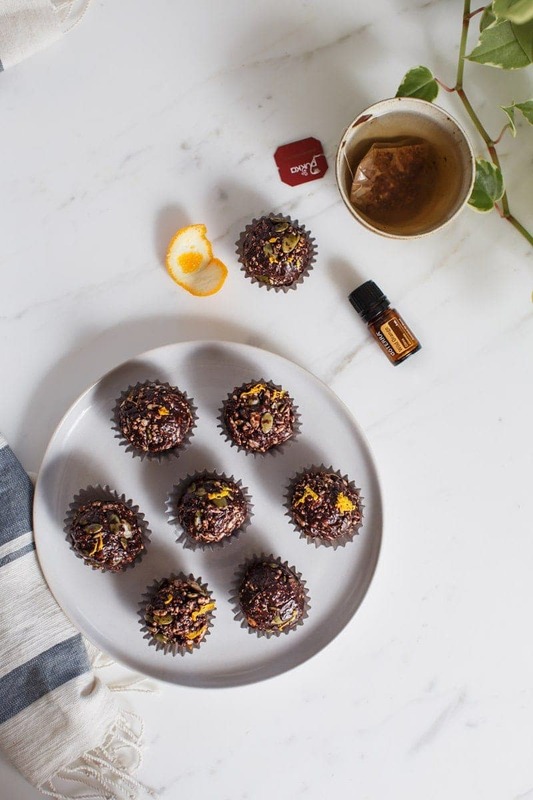 Quick and easy chocolate crackles infused with wild orange essential oil. 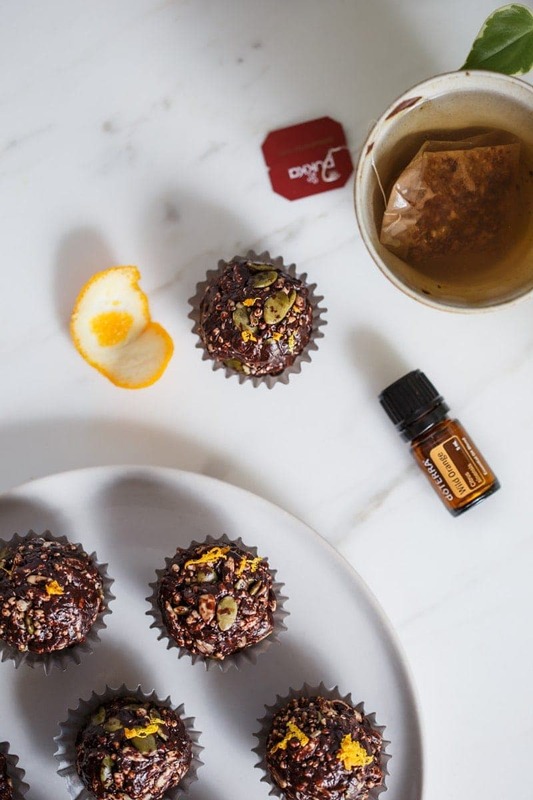 Combine the coconut oil, cacao butter, brown rice syrup, cacao powder, sea salt and wild orange oil in a large bowl and mix to combine. The batter should be little on the thick side. Add the seeds and fold through. Add the puffed grains and use your hands to combine the mixture to evenly disperse all ingredients. Roll into balls and place in individual paper baking cups (small size). Serve as is or chill first to firm them up. You can use coconut oil in place of the cacao butter, although they may melt a bit quicker at room temperature. Cacao butter gives it a more authentic chocolatey taste in my opinion. If the chocolate mixture is too thick to work with, stand the bowl over a pot of hot water to help the oils melt. If the mixture is too wet to roll into balls, refrigerate for a short while to firm it up. 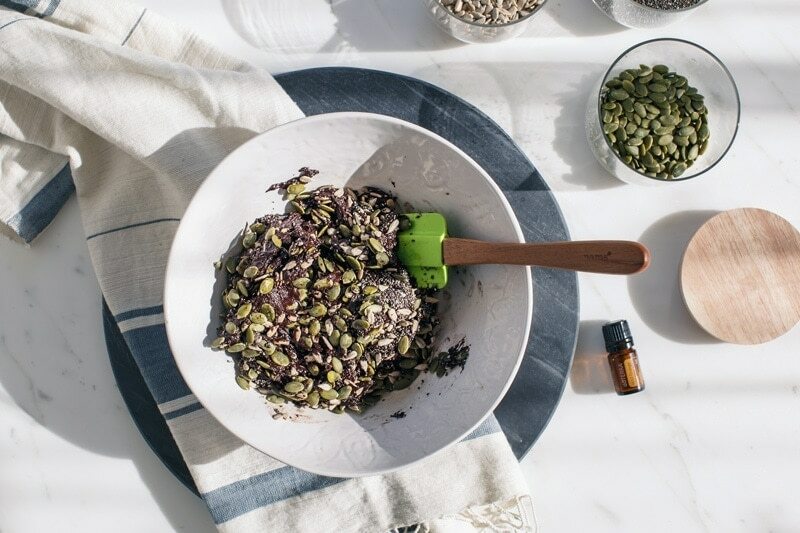 If this has inspired you to experience essential oils, and you’d like to get started, you can either book a complementary consult with me to learn more first, or join with doTERRA right away. I’ll guide you through how to purchase them here. 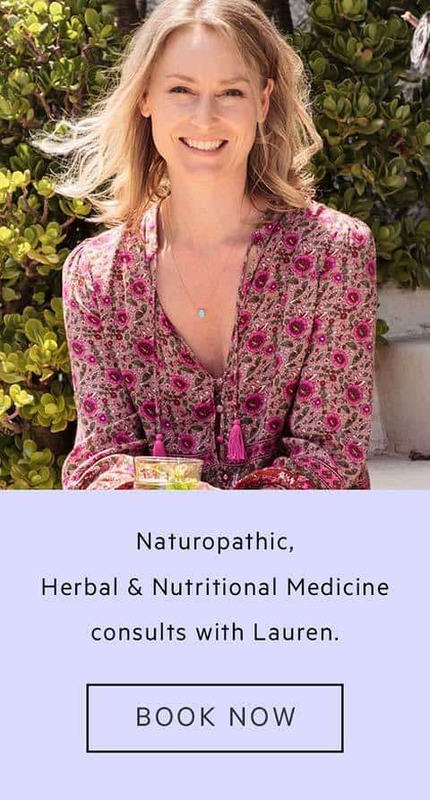 you can book a free consult with me here. have a look at my timetable here. Thank you for reading, enjoy these little balls of joy!